It’s hard to believe that we are coming to the end of another year and that this is the Christmas ezine. 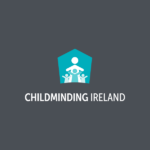 It has been a very busy year at Childminding Ireland. 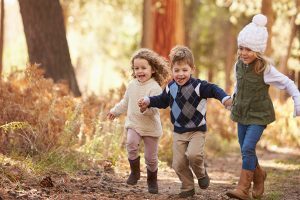 The Working Group on Childminding, the Affordable Childcare scheme and changes to the ECCE scheme, ensured that Childcare in Ireland was headline news throughout 2017. We are ready to circulate our Annual Members’ survey. I would appeal to all members to please take 10 minutes out of your very busy lives to complete the survey. The information that is gathered is vital for planning and meeting the ongoing needs of our members. It is your opportunity to have your say. The Members Survey is completely confidential and will be shared with you via an email link. At the November Board meeting, it was decided to further develop the membership criteria by adding Paediatric First Aid and Child Protection to the requirements for membership. I realise that many of you already hold these qualifications but for those of you who don’t, there will be plenty of time as the requirement will become effective in 2019. The Board also approved a code of ethics which all members will be required to sign up to on renewal and joining. 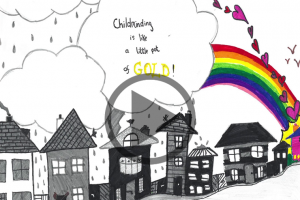 These steps are designed to benefit you as a childminder and the children you mind. The office will be sending out further information to you in the coming weeks. Everyone is very busy working on AGM 2018. This year, we travel to the Sheraton Hotel, Athlone on Saturday 10th of March. We are looking forward to meeting all of you on the day. A list of suggested B&B’s has already been sent out by email to you. We will have further details for you in January. I will close by wishing you all a very Happy Christmas and a prosperous New Year.